It is with great sadness that the family of Shirley MacDonald, age 71, of Coldbrook, announces her passing on January 5, 2018 in Valley Regional Hospital, Kentville. Born in Sydney, she was the daughter of the late Irwin and Susan (MacDonald) Coll. She grew up in Sydney River and later attended Teacher’s College in Truro. She taught school in Sydney River, Dartmouth, and after marrying Wayne they both taught in Kentville. After becoming disabled due to M.S. she volunteered teaching adults for their G.E.D. diploma. She and Wayne chaperoned 20 high school students for two weeks to London, followed by a week’s cruising around Italy and Greece. 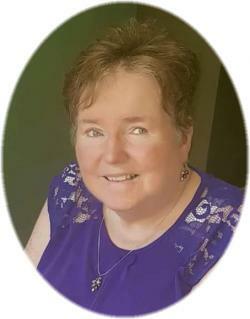 Shirley was a member and officer in the Kentville Kinette Club, a founding member of the Annapolis Valley Chapter of the Multiple Sclerosis Society, and a member of Orchard Valley United Church. She loved to travel. In Canada she and Wayne traveled from ocean to ocean to ocean. They’ve cruised in the Caribbean several times and Mediterranean for a month in 2014. Shirley enjoyed their cottage on Sherbrooke Lake and cruising the lake by pontoon boat. However her greatest joy was watching her children and grandchildren growing up to be people to be proud of. Shirley is survived by Wayne, her husband of almost 50 years; their daughter, Jan Houseman and grandchildren, Erin and Lauren; their son, Mark (Mi-Heon) and grandchildren, Alex and Gemma; and their daughter, Keri (Trevor) Best and grandchildren, Cameron and Jocelyn; her brother, Ron (Karen) Coll, Toronto; and sister-in-law, Marina (John) DeWolfe, Kentville. Cremation has taken place. There will be no visitation, by request. The funeral service, followed by a reception, will be held at 11:00 a.m. Wednesday, January 10, 2018 in the White Family Funeral Home, Kentville. Rev. Ivan Norton and Rev. Judy Norton will be officiating, with friends Robert and Barbara Rushton providing music. Shirley has requested that donations in memory might be made to the Multiple Sclerosis Society, Atlantic Division, or a charity of your choice. Funeral arrangements are under the direction of the White Family Funeral Home, Kentville.